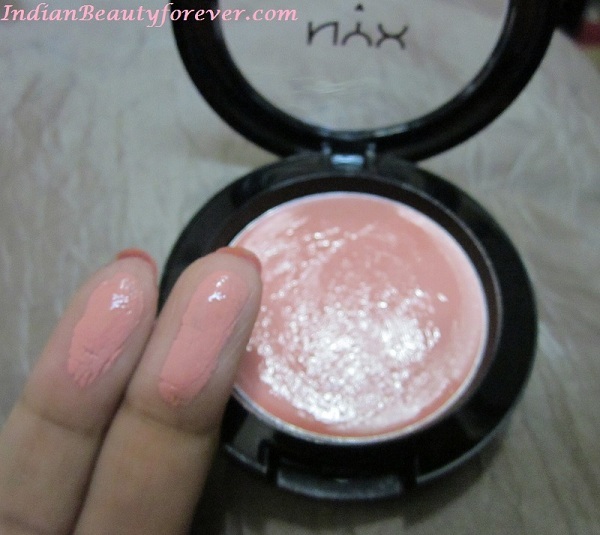 I will review Nyx Blush in Rose petal today. I was not at all a blush person. 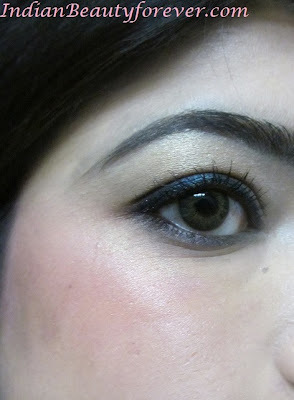 but now, I love how they add, subtle color to the cheeks and make them glow. Love them now!!! Packaging- Regular packaging with a transparent lid. 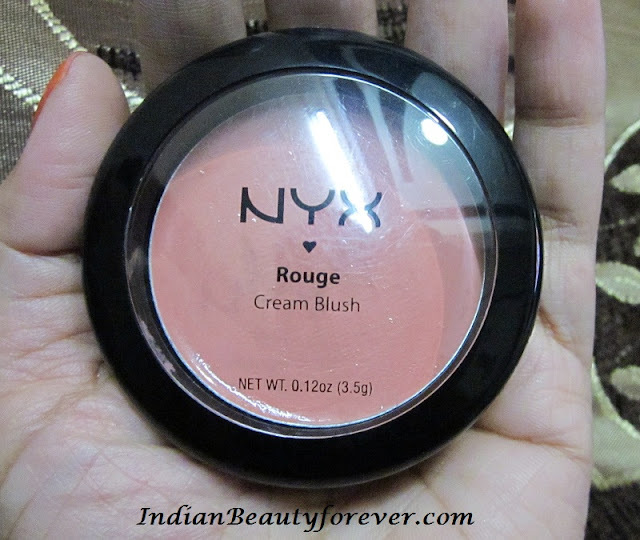 My Experience- It is my first cream blush and first one from Nyx too. This shade is the most natural color I guess when it comes to blushes. Its pale pink shade with no shimmers at all. The color will look great and natural on all the skin tones. Texture is a bit thick but it blends properly. When I tried to blend it with the help of my finger tips, it was hassle free, smooth and no patches. Or you can also use a blush brus, but I like to apply it with fingers as it melts the products while you are trying to blend which further helps in blending. I like that it gives a very soft natural flushed cheeks look. I could not find any flaws in it may be its my first cream one but still I had no issues with it so far. 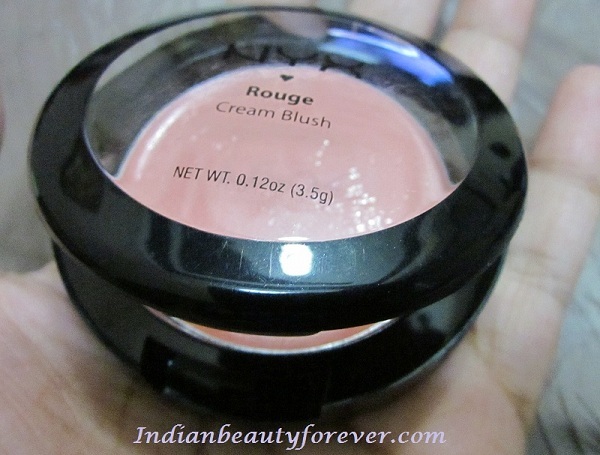 And a best thing about the cream blushes is that they have better staying power as compared to the powder ones and since it's matte which means can be easily used during the day time. It will be appropriate for those of us who aren't that fan of shimmers when it comes to blushes!! Stays on for long as compared to the powder blushes. Available online easily or international online shopping sites. Easily blends in with finger tips or brush. 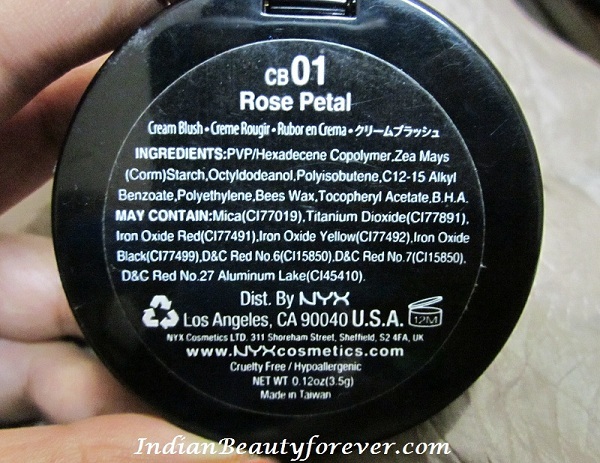 Some of us can find it a little pricey in INR and also it may not be liked by very oily skin. But as I have combination skin with normal cheeks so , it was fine!! My take- Good packaging, nice and natural color, try it for it's natural color and better staying power than the powders and dewy finish !! Great review! Love the result. Its a pretty color na.! I was just gonna buy this! !Now I am definitely picking this up!!! Try it Sophia, its nice and natural. It is Neha :) I love it!! I haven't tried this brand. I heard that it's coming in Greece now. The photo of you is so nice! Its a really famous brand Demi, its good that it is coming to Greece. Wow..niesha awesome..u look v pretty.. The Blush actually looks very natural and pretty on you. Have never used blushes. This makes me want to. Medplus has great discounts on blushes but this cream one isn't there. 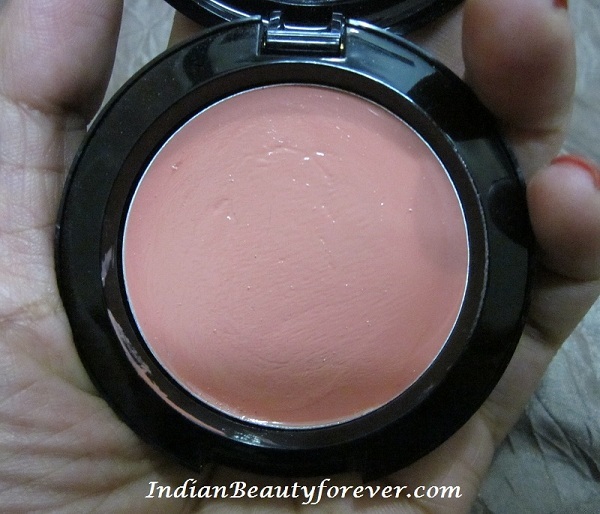 such a nice shade niesha...me too blush addict now a days ! !